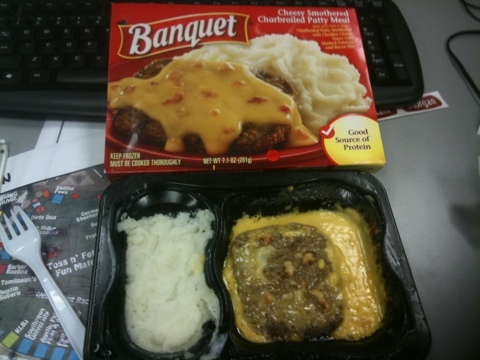 It’s been almost a year since I had a delicious Banquet Cheesy Smothered Meat Patty. Let us toast to the CSMP! February 16, 2011 in iPhone Observations, PICS.